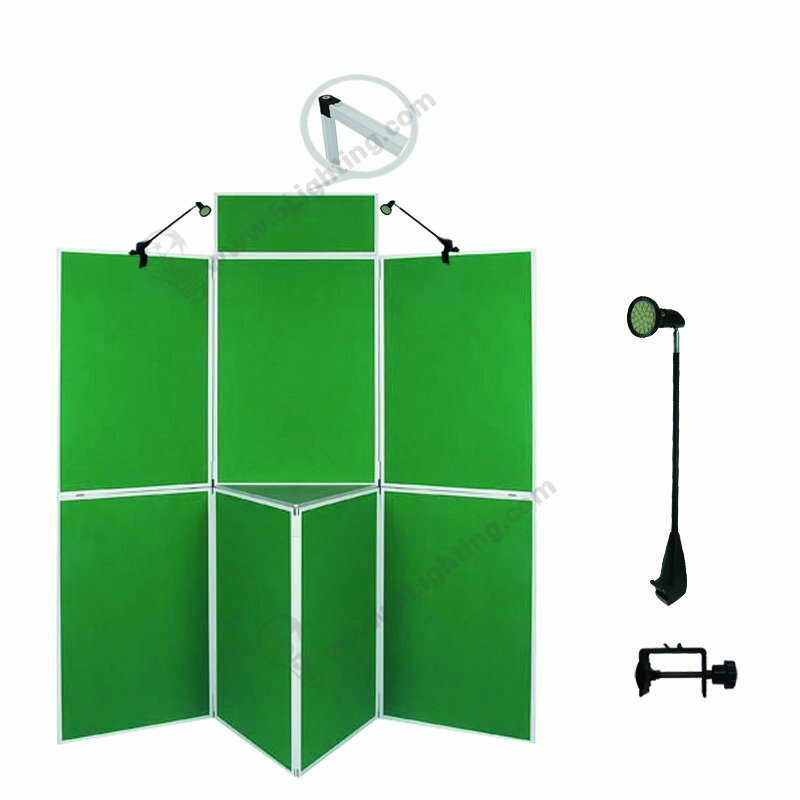 Panel display board lighting 5 w, Exhibition display lights for folding panel board applications. a) Panel board lighting with multi clip JZL017 is generally applicable to folding panels, JZL017 is fixed with a G-shaped function between it. 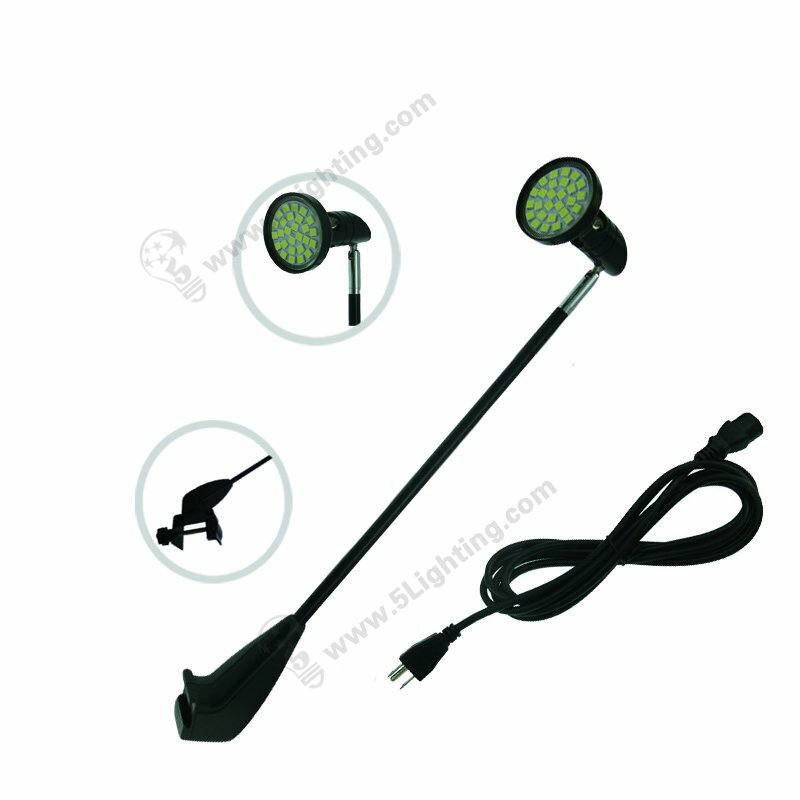 This lights for panel banner’s tail clip is made of high-quality aluminum precision casting, high strength, self-indulgent, unique trapezoidal threaded rod, high torque, and maintain a strong clamping effect. 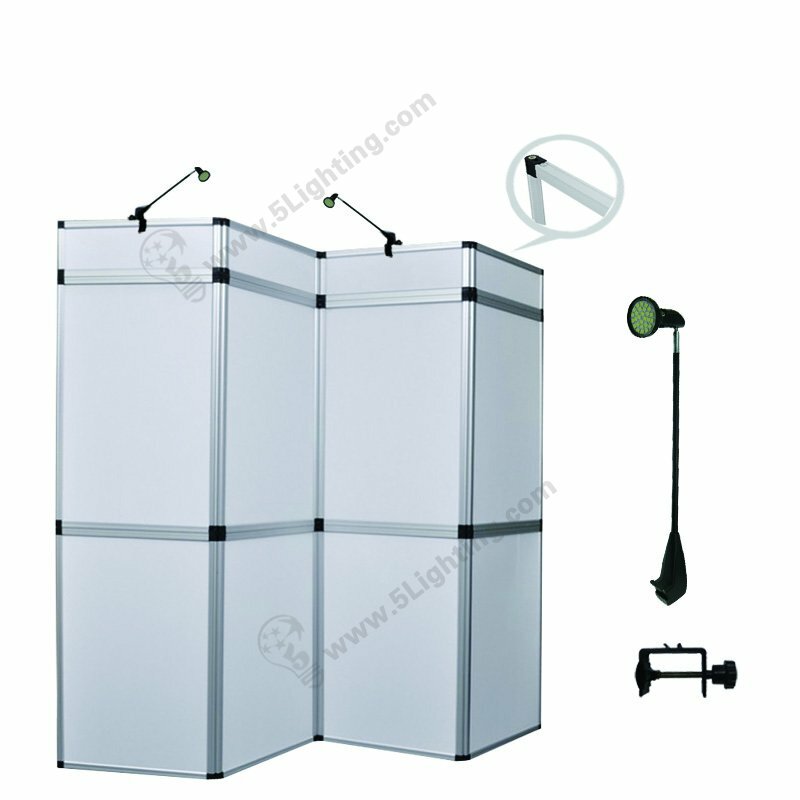 b) Multi Clip Trade show lights for folding panels 5 watts adopts the LED MR16 Lamp as the light source, which is highly efficient and has a long life(.The power of 5W emits a bright 400 lumens of light, make sure your high-quality print information is visible in the dim display area or in a banner stand trade show. 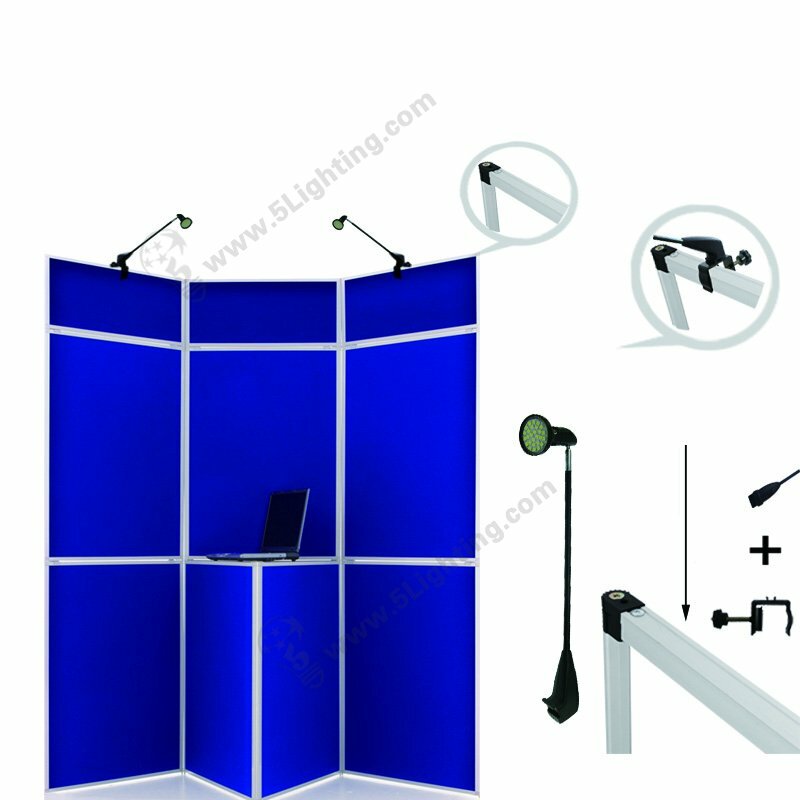 c) Our exhibition lights for panel board 5W comes with a swivel lamp head for horizontal and vertical adjustment, with this adjustable head and arm, you can manipulate the light on your custom banner to attract attention to a particular image or display text. d) It is easy to transport because of its small size and lightweight.And it’s color temperature (customizable) is very helpful for improving the color quality of the graphics, so don’t worry about changing the bulb or getting burned by the hot lamp again! e) Use the rear part of its strong structure design to make the screw thread rod, after heat treatment, it can provide stronger torque and fastening force, smooth and push the clamping, not easy to fall off. f) Panel display board lighting ‘s finish has silver and black, and its head dimensions are 2.2″ODx3.5″ and arm dimensions are 11.6″x 0.40″OD, and its net weight is only 1.43 (lb)/650[g], very lightweight. It is suitable for Panel board banner stand and other exhibition/trade fair advertising panel banner stand booth, like tri-fold banner panel etc. Matched parts & accessories: Mounting clip assembled with LED light. Panel Display Board Lighting With Muti Clip -JZL017, Exhibition display lights that easy installation for folding panel board applications. 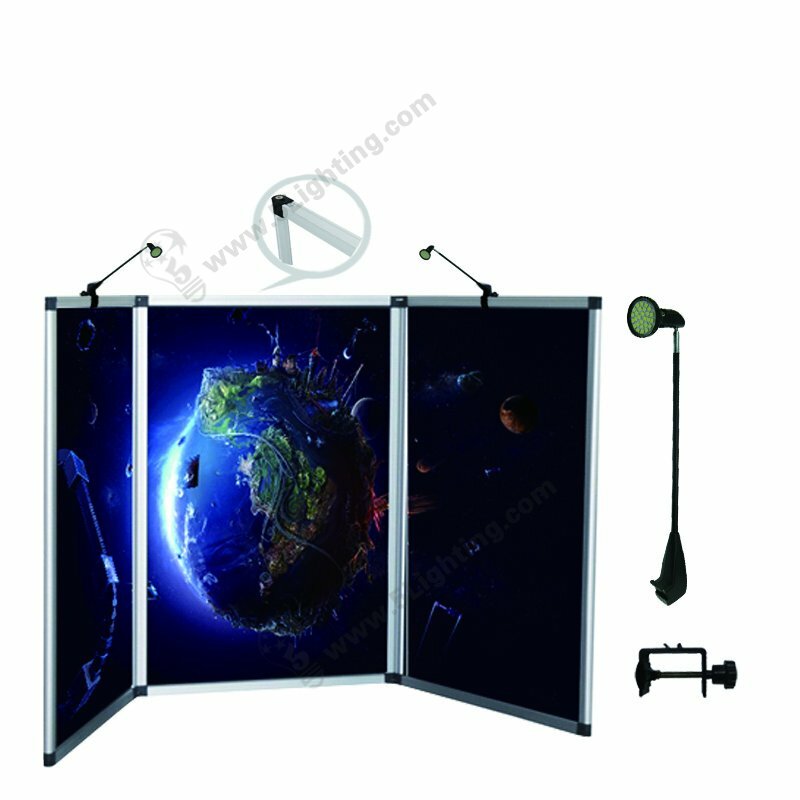 Applications: For Panel board display and other exhibition/trade fair advertising panel display booth, like: tri-fold display panel etc.